I recently read a post about a woodworker who is having trouble cutting dovetails because he could not see the line. I can see how this can happen if you are always cutting with the same hand. Eventually, your dominant hand is going to get in your line of sight. It’s no secret, the answer is you have to be ambidextrous. You have two hands, use them. Once you start using two hands, you never get in your own way. You never limit yourself to what you can do. When I cut dovetails, I cut all the same angles down the width of the board. Then I switch hands and work my way back up the board. Some may feel they just can’t use their non-dominant hand to perform precise work like cutting dovetails. Well, they are wrong. One of the major concepts when cutting dovetails, or making any other cut for that matter, is to let the saw do the work. That’s right, take your hands out of the equation. The saw will follow the scribe line; all you have to do is stop the cut at the baseline. Using hand tools requires a lot of skill. This is why I love it…it’s a challenge. To me, using machines is not a skill-full task. You are basically an operator. Therefore, I don’t think it is a stretch to go ambidextrous. It’s not just for cutting dovetails. I go ambidextrous when planing quite often. There are many times when the grain of the wood, or the limitations of my bench, etc. prevent me from working solely with my dominant hand. There have been times when my right shoulder was fatigued from ripping & cross-cutting that I found myself going lefty. Or how about cutting tenons. I clamp the workpiece in my Moxon-like vise and start cutting on one side. Then instead of removing the workpiece and flipping it around, I myself flip around and cut from the other side. Don’t forget about chisels either. When you open this one up to the ambidextrous world it changes everything. Of course this operation isn’t as easy…it will take some practice compared to cutting to a line. Paring with chisels, for example, is a free hand operation. It’s a skill worth learning. 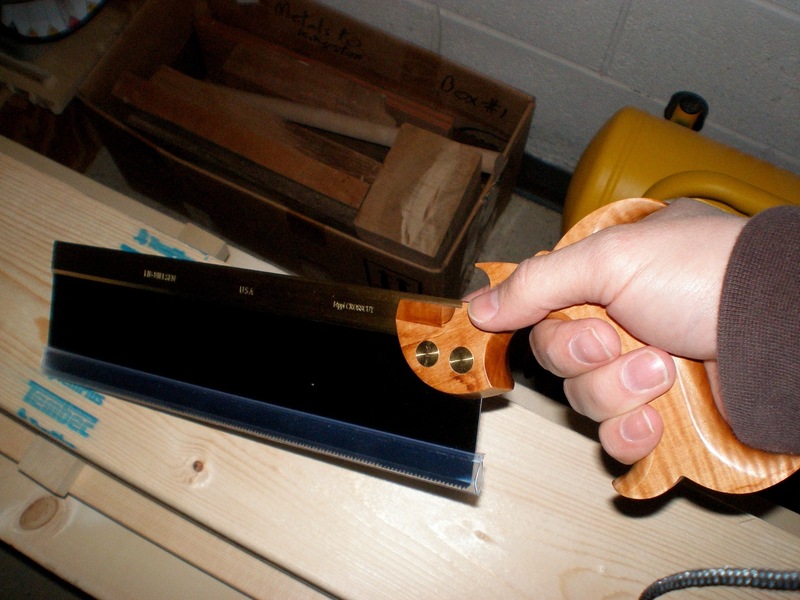 Overall, with all your hand tools you will find ambidextrous woodworking much quicker, and easier. Think about changing hands. This entry was posted in hand tools, Philosophy and tagged hand tools, philosophy, woodworking by villagecustomfurniture. Bookmark the permalink.